Over my school break I was able to go home to Colorado for the first time in almost a year and a half. Ryan’s vacation schedule is a fraction of mine, so Ryan and Roo stayed behind in Korea.I hate the long flight and was crazy to agree to getting to Colorado after 19 hours of travel then promptly driving to Indiana (an 18 hour drive) to see family there. However my brother ended up not being able to get off work which gave me one day of recovery. Even through a jet-lagged fog, it was wonderful to get a day to spend in Colorado catching up with Carissa and Ryan’s family before heading to Indiana. In Indiana, I had a measly four days to catch up with family, but got to see everyone and squeeze in a few yoga classes in between. 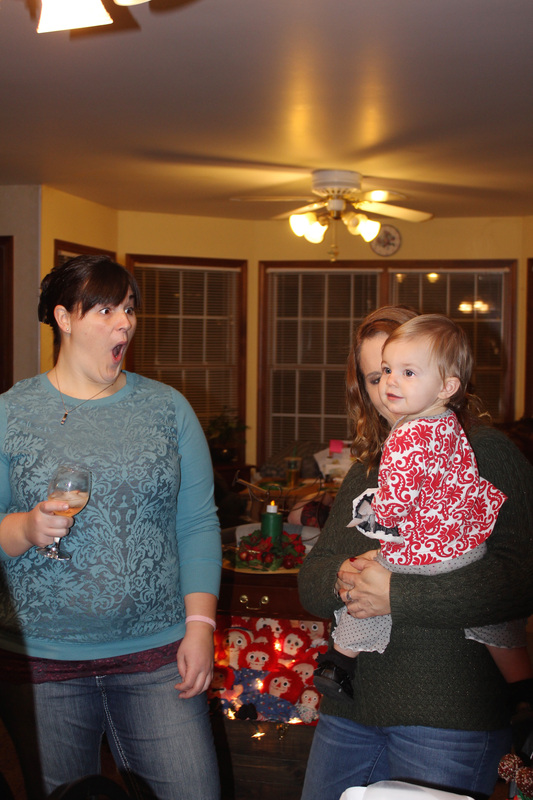 The highlight of the party was of course the babies, my second cousins. All the baby-holding led to at least seven people forbidding Ryan and me to have babies while abroad. Opinions, opinions. After a short visit, I flew back to Colorado to catch a bachelorette and engagement party for Elaine. She doesn’t get married til May, but we squeezed in all the parties while she was in Colorado visiting her fiance’s family so we could all go. I’m very grateful that I’m missing as little as possible while living half way around the world. We started out the bachelorette party with a yoga class then headed to a cupcake decorating studio. Following along with businesses like Canvas & Cocktails, the studio, Make, bakes cupcakes, prepares fondant and frosting, and has all the tools available to decorate cupcakes. Later in the week we headed to Boulder for Elaine’s engagement party. Going home is simultaneously wonderful and difficult. I have a hard time adjusting to the time change, so I spend most of the time I’m there in a daze of sleep deprivation. It also puts into relief the sheer distance between our friends and family and where we live – something that surprisingly doesn’t stand out. Often it feels the same as when I lived in DC – far enough away that we only see each other a few times a year (minus figuring out the time difference every time we set up a call). Going home also makes it very hard to say goodbye. I’m grateful for the time I got with friends and family in Colorado and Indiana, and was also grateful to get back home to Ryan and Roo.